In 2015, malignant pleural mesothelioma interrupted the 57-year Thanksgiving Day family tradition that Marian Levin loved so much. It broke her heart, but it didn’t break her. Instead, it sparked a passion to resume hosting the annual feast that always includes a table filled with delectable dishes she personally makes from scratch. Levin had undergone pleurectomy and decortication surgery — one of the most aggressive mesothelioma treatments — a few days before Thanksgiving. She had to leave the meal prep work, with specific instructions, to other family members. Levin, a retired school teacher in suburban Philadelphia, resumed hosting again in 2016, rekindling a lifetime of Thanksgiving Day memories. The tradition began when she was a newlywed just learning where the kitchen was. Now it includes a grandchild ready to graduate from the United States Air Force Academy, who remembers what he once ate from the highchair. The chocolate mousse cake, the pumpkin cheese pie, the Liam French-style peas, the cranberry sauce, the potato/cheese/mushroom casserole and her famous turkey stuffing are just a few of the homemade delights Levin has made for decades. Surviving mesothelioma hasn’t been easy. But with help from husband, Max, days like Thanksgiving have made it well worth the fight. So have days like her 80th birthday party, when her four children and four grandchildren all attended, traveling from around the country to celebrate the occasion. The initial complications of her surgery in 2015 were awful. Chemotherapy after surgery was dreadful, an experience she has vowed never to repeat. Catching her breath today can be challenging, even after a leisurely stroll. Lingering nerve damage from the surgery has made pain a constant companion. Yet, she sees only positives. Her follow-up CT scans are still coming back clean. She is grateful for living just 30-minutes away from the Abramson Cancer Center at the University of Pennsylvania. There, her surgery was performed by Dr. Sunil Singhal, and her care has continued under oncologist Dr. Evan Alley. Pleural mesothelioma survivor Marian Levin on a toboggan slide with her granddaughter. Her days as an always-on-the-go dynamo are over, but she still smiles at those memories. With her summers free as a school teacher, she traveled the world — sometimes with her husband, sometimes with a daughter, and sometimes by herself. Her pace rarely slowed. Her stories span the globe. She’s been to China, India and Morocco. She’s been through Japan, Thailand, New Zealand and Australia. She has visited Germany, Greece, England, Spain and Belgium. Uruguay and Argentina were nice, too. The travel bug started in college with a study-abroad program. It never ended. She didn’t go on scheduled tours, either. She often went on foot, hiking and biking her way across cities and countryside. She loved the experience of different cultures. She retired early to travel more. Much of her time now is spent reading. She still exercises in the pool. She walks to the post office, almost a mile away. She loves to play Mahjongg, and she still loves engaging others. Her last extended trip, to Hungary, Croatia and Bulgaria early in 2015, was when she realized something was seriously wrong. The walks were getting more difficult. Her energy was down. She fell. She had been diagnosed with pleurisy, an inflammation of the tissue that lines the lungs, a few years before. The fluid around her lungs had been drained three times, and nothing more serious was uncovered. 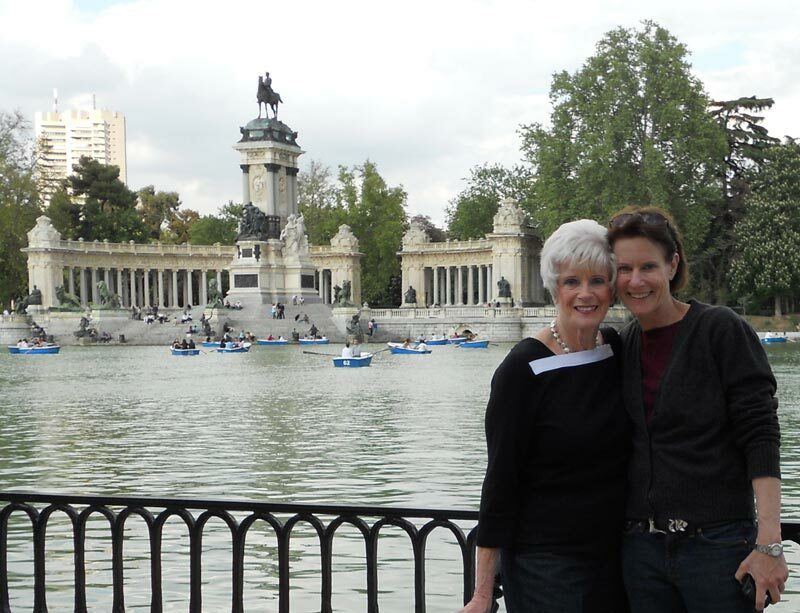 The fourth time led to an exploratory surgery, which led to her startling diagnosis of pleural mesothelioma. The rare cancer is caused by exposure to asbestos and has no definitive cure. She still expects to be in Colorado Springs for her grandson’s graduation ceremony. After all, she was there for his initial visit. She and Max have plans to reach Jamaica soon, spending time on a beach where she has never been. And of course, she has every intention of hosting Thanksgiving dinner again in November.